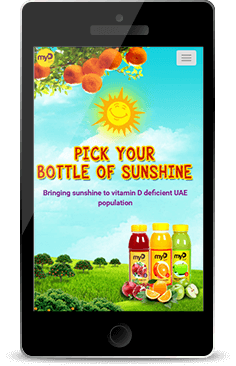 MyD Juices, one of our earliest clients is an extension of Barakat freshly squeezed juices based in the UAE. 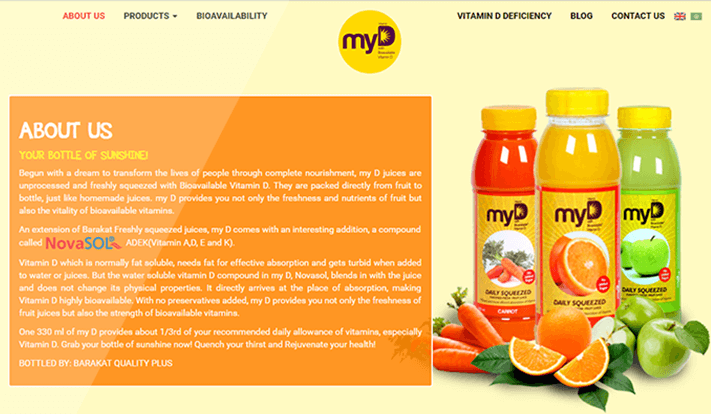 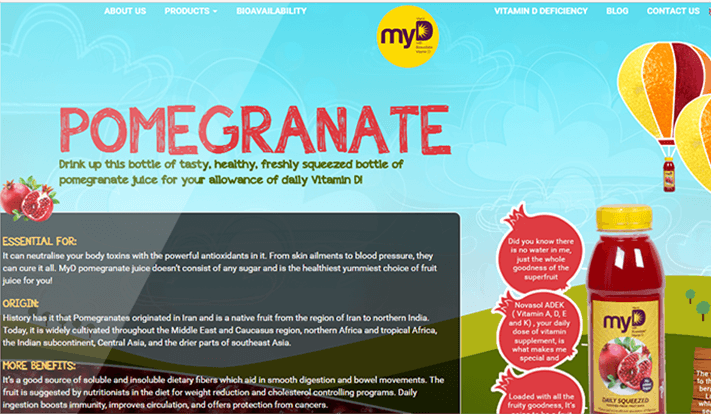 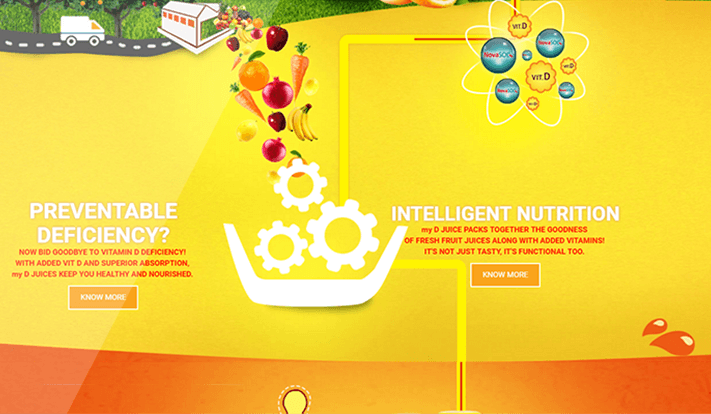 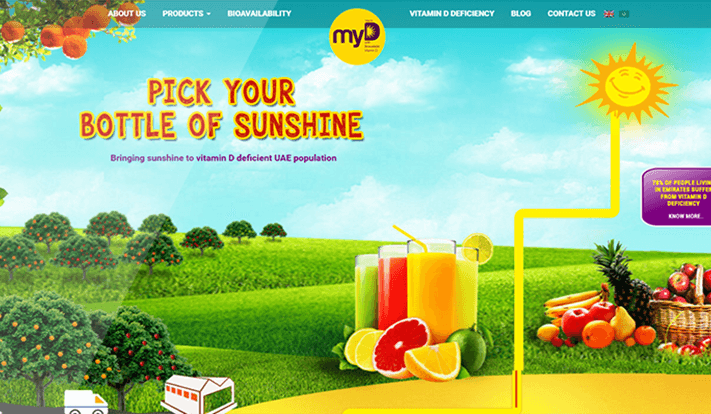 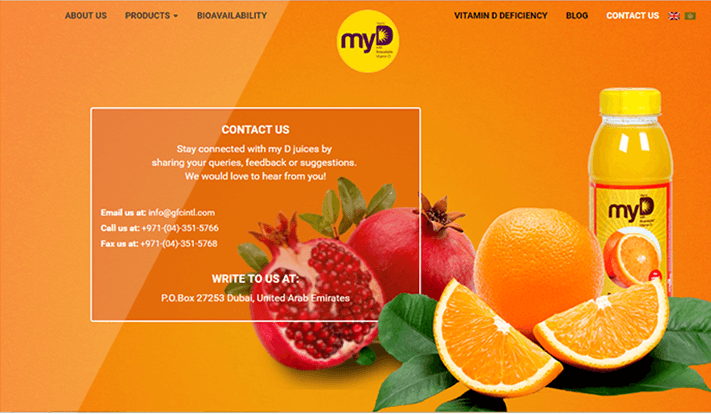 Our brief was to create a distinct brand identity for MyD Juices through website UI/UX. 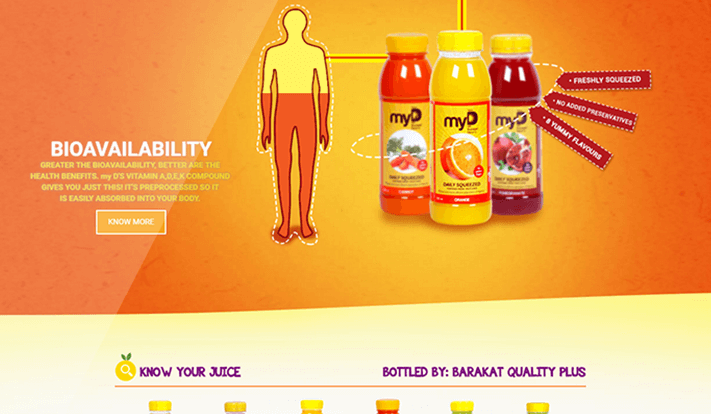 The USP we aimed at embodying through the website was that one 330ml bottle of their juice provides about 1/3rd of your required daily vitamins- especially Vitamin D.
A perfect solution for those who love fresh squeezed juice but are pressed for time to make it themselves, the website was designed to be highly functional and interactive. 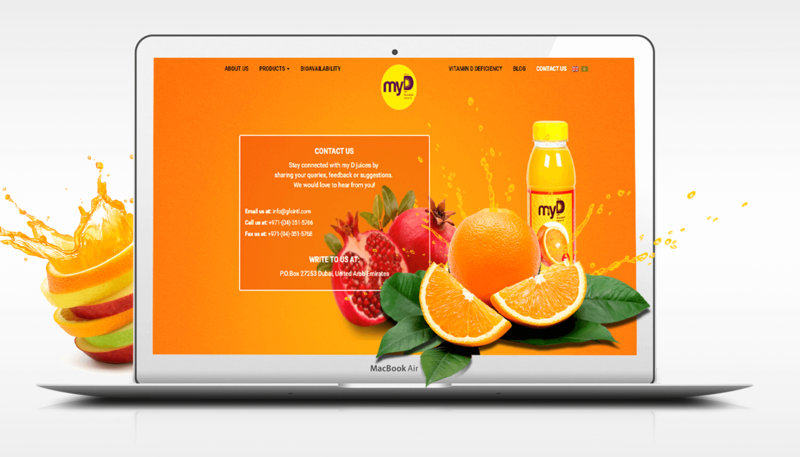 With a huge focus on user experience, we created a website with a happy, bright exterior that brought out the fun elements of drinking fresh juice and also its nutritional facts. 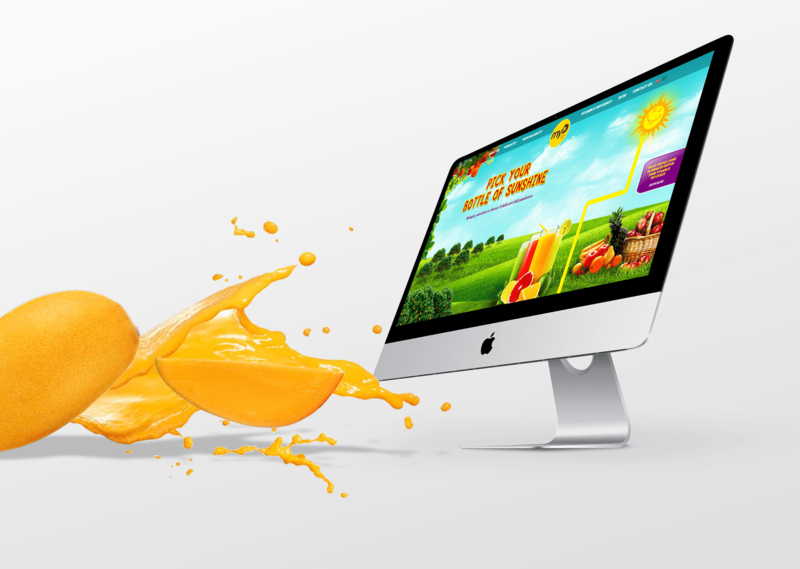 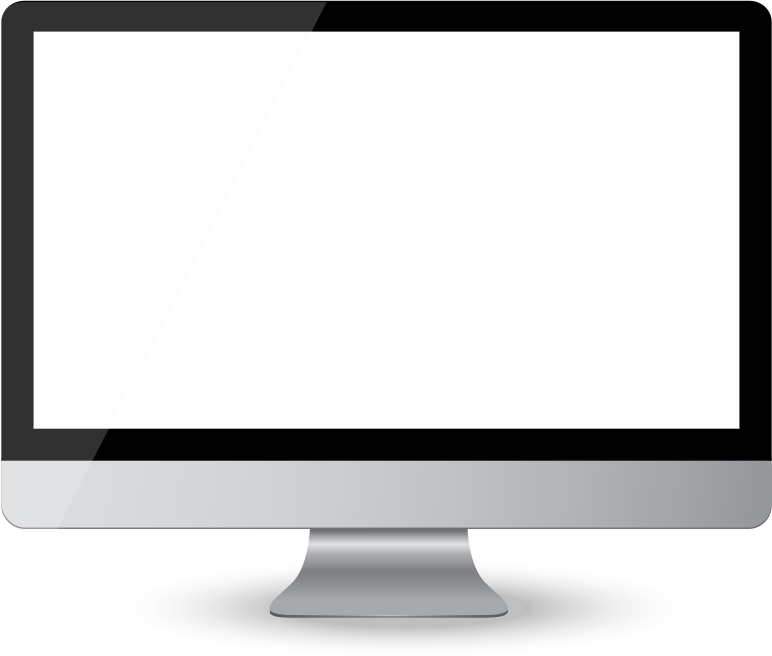 We ideated, designed and developed the website from scratch and delivered it in a record 6 weeks!